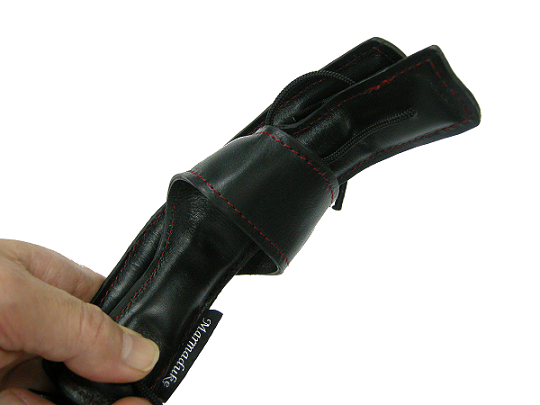 Marmaduke "Feather Strap IV" is designed so that the weight of the saxophone is distributed mainly on the shoulders. Feather IV is a one-piece construction. It still keeps the comfort of Feather III, however, is more stable. It has a newly designed bigger slider that adjust the height easily and widen the bar distance. 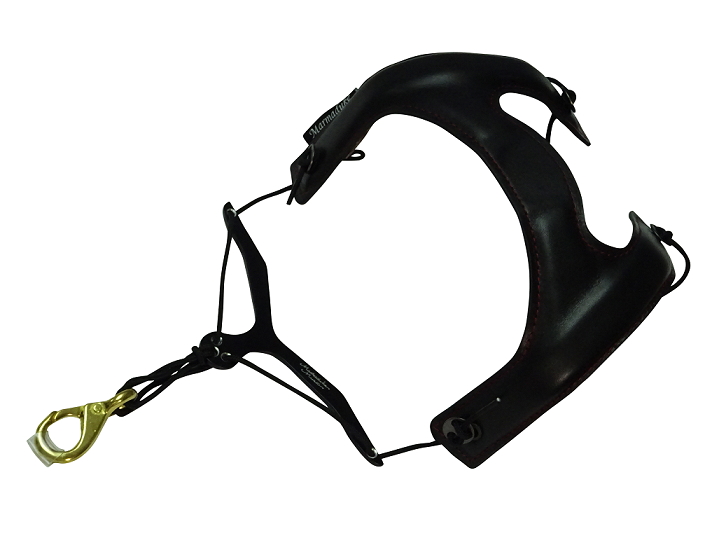 A pure brass hook is ideal material for maximum resonance. Very compact and fits in the alto sax bell. It eases neck pains. You will enjoy completely different feel and can concentrate on your playing. 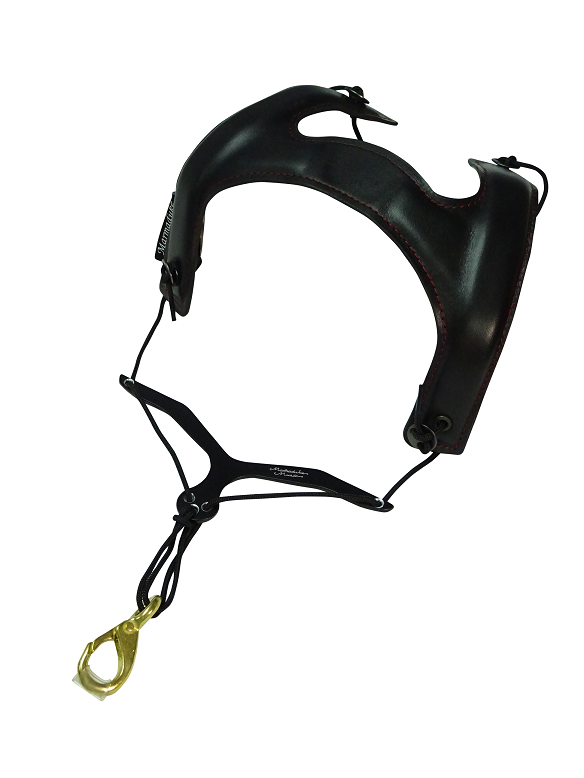 Aluminum bars and the side strap are adjustable and will fit your shoulders. The length of the cords can be easily adjusted. Regular and Super Wide are available. Both sizes good for Soprano, Alto, Tenor and Baritone. Genuine leather. Available in Black and Brown. Steve Carmichael talked about the strap.